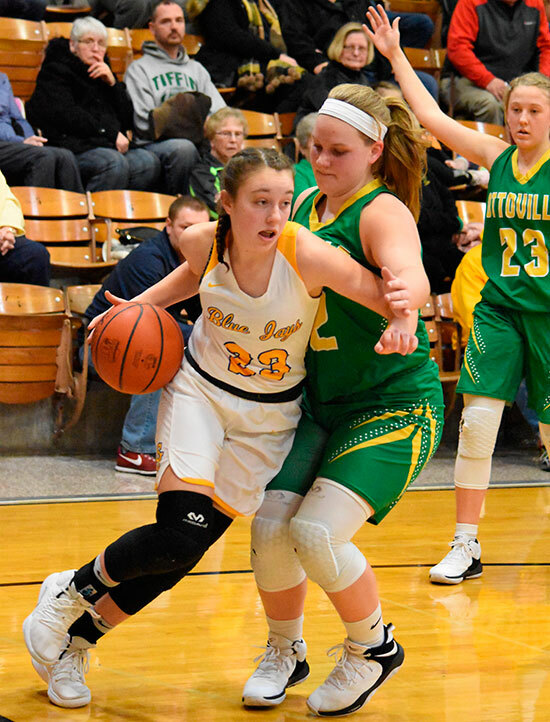 DELPHOS — The Lady Jays gave Ottoville everything they could handle Friday night but came up short of the victory. Kasey Knippen led the way for the Big Green on their way to a 57-44 win. 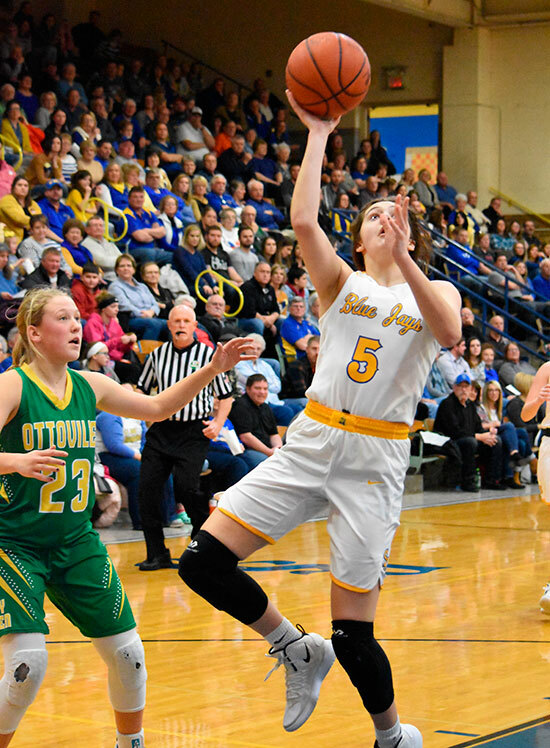 Ottoville took an early lead but the Jays bounced back with help from Paige Gaynier who hit a three to make it 8-6, Green. 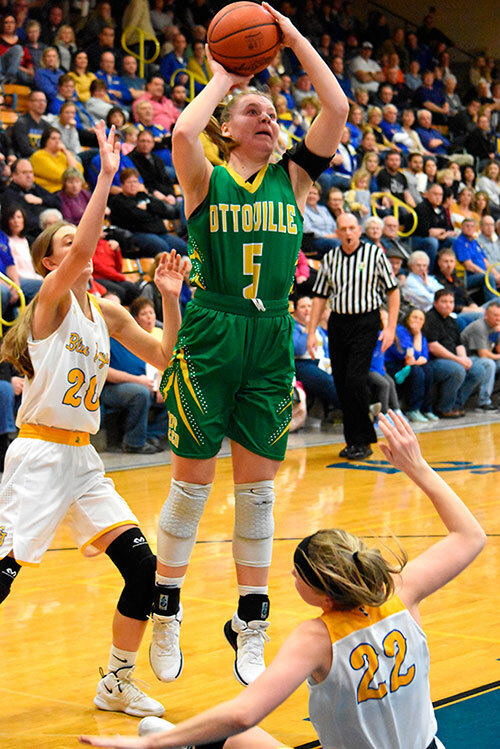 Hannah Will got in on the action with a triple from the left-wing but Ottoville dropped six-points in the final 1:00 to enjoy a 16-11 lead after one. Will had the hot hand in the second quarter with and cut the Big Green lead down to two-points with a shot from downtown. 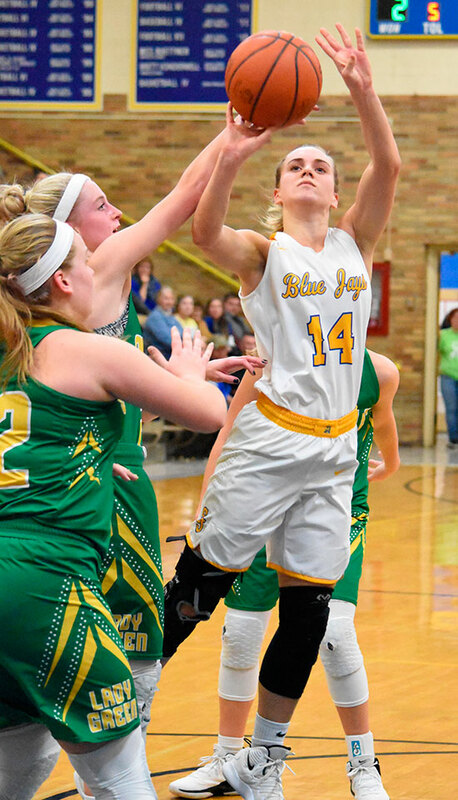 She led the Blue Jays in scoring with 16 points. Gaynier found paydirt from long-range and gave St. John’s their first lead of the night, midway through the period. 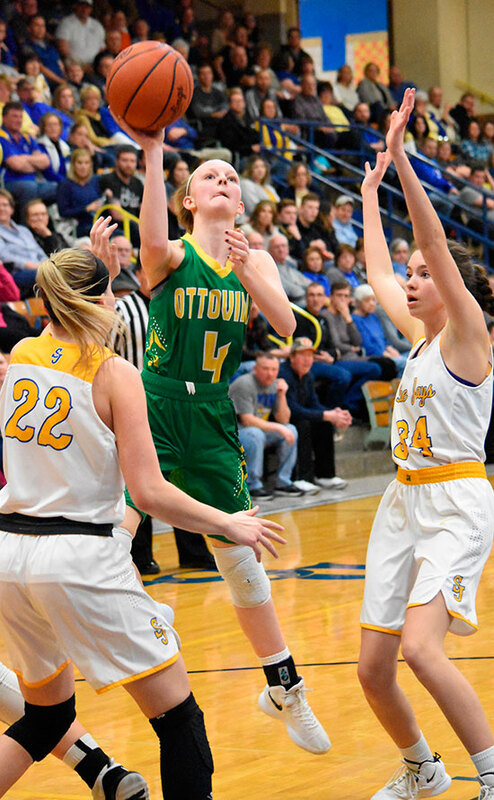 Quinley Schlagbaum and Tori Thomas hit three-pointers for Ottoville to give them a 26-22 lead at the half. The game tightened up in the third quarter when Will and Gaynier each hit a three in the first 3:00 of action. 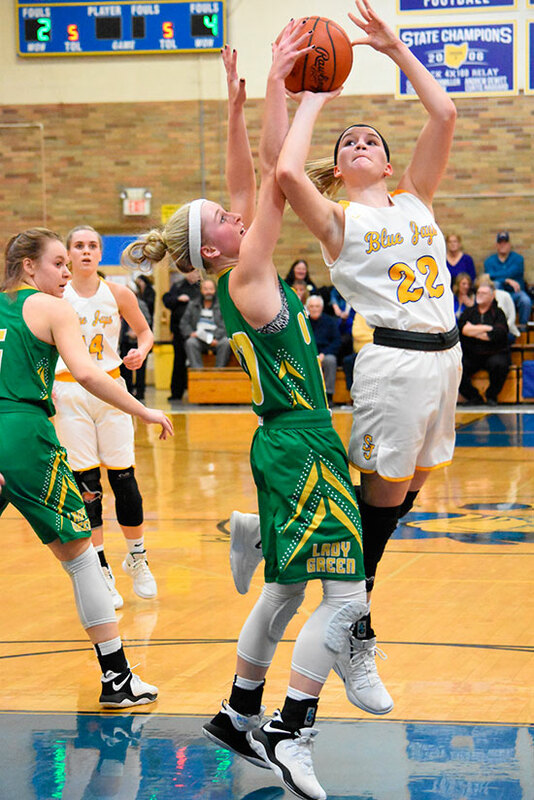 A layup by Melanie Koenig tied the game at 34-34 but the Lady Green went on an 8-2 run to close out the period and held a 42-36 lead entering the fourth. 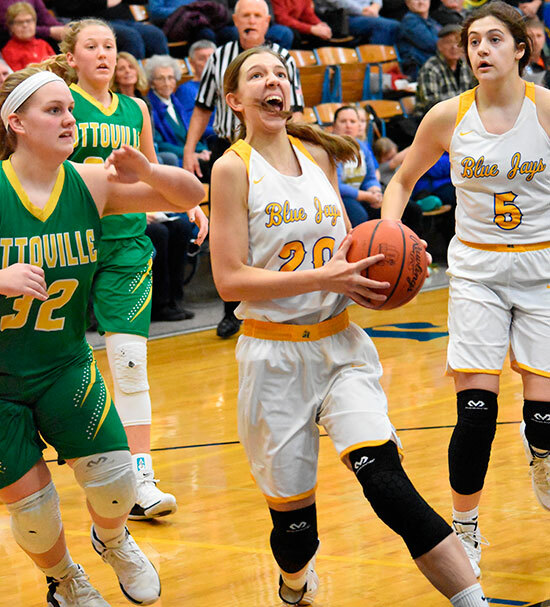 Ottoville’s defense showed up in a big way in the final quarter and kept the St. John’s offense at bay with only 8 points allowed. Late fouls allowed the Green to extend their lead and ultimately take home a hard fought victory over the Jays 57-44. “We handled adversity well tonight. 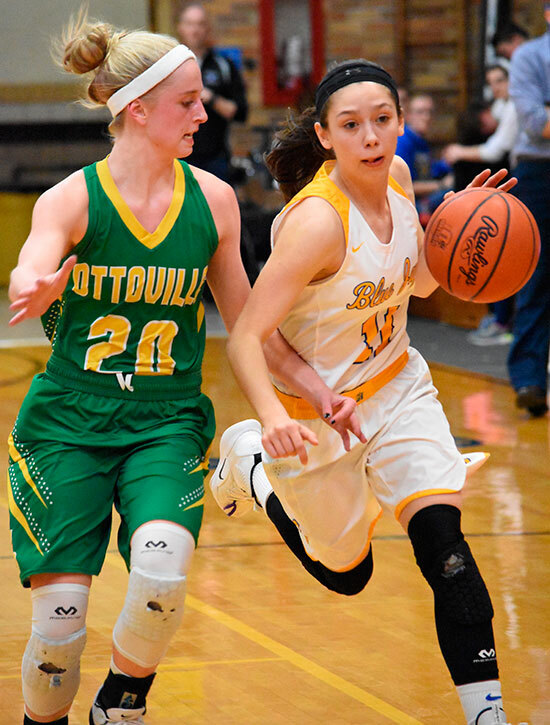 The bench did an excellent job holding the fort down for us until we could get our starters back in the second half,” Kleman concluded. 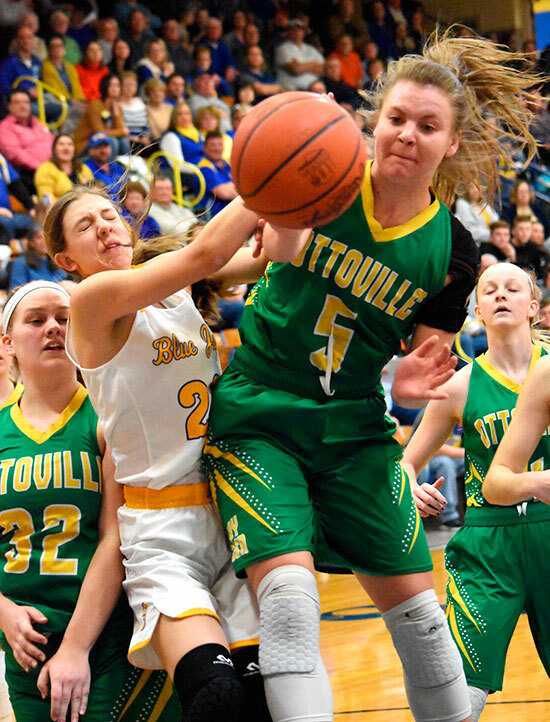 Ottoville improves to 18-3 (6-1 PCL) while St. John’s falls to 13-7 (5-4 MAC).